More times than not, organic and vegetarian friendly restaurants also cater to the gluten free crowd. The Plant Cafe Organic offers dishes inspired by fresh, organic ingredients on a menu that specifies gluten free and vegetarian items with a little (gf) or (v). A variety of unique salads, seasonal entrees, and desserts should excite any gluten free customer. 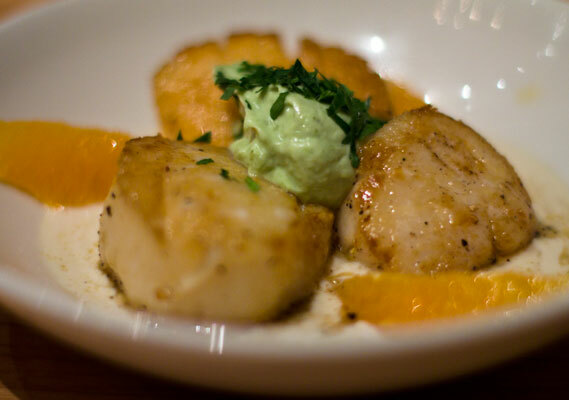 There are several delicious seafood dishes, most notably the seared scallops in a coconut lime reduction. I also enjoyed their cornmeal and pumpkin seed encrusted tempeh with coconut mashed yam. 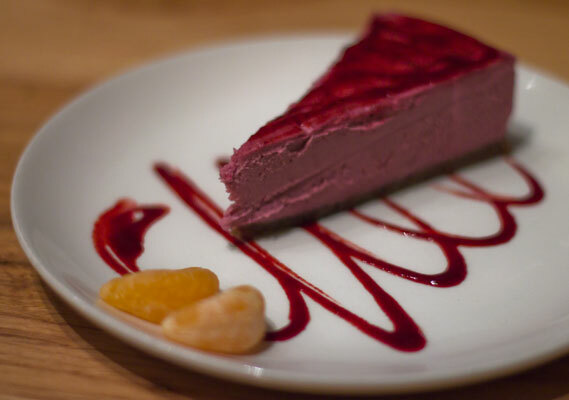 To finish your meal, try their exceptional vegan raspberry cheesecake. With two locations in San Francisco, The Plant Cafe Organic is open for lunch, dinner, and weekend brunch. Loooved the Plant Cafe Organic – we stopped here for lunch when I was out in San Francisco last August. They were quite helpful regarding my gluten sensitivity. Their watermelon mimosas are also crazy good. Beautiful pictures!